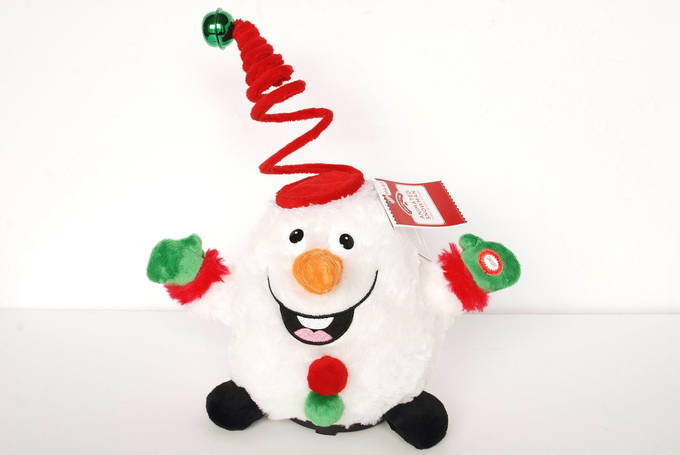 This cute little guy sings a song called “Peppermint Twist” as he jiggles and spins around – a lot. I love fun gifts for kids that make them smile. He’ll definitely make a little one happy. But, he may drive you bonkers — hearing the same song over and over. “Round and round, up and down, one-two-three kick, one-two-three jump” – Yeah, the song sticks in your head. He’s about 10 x 12 inches in size. His bell rings when he turns. Or, you could buy a Santa Chicken – that plays the “Chicken Dance”, of course. These “huggable massagers” look like stuffed animals. It was hard to pick just one – they are all so cute and soft – very huggable. You can choose six different animals: dog, giraffe, leopard, monkey, cat, or pig. 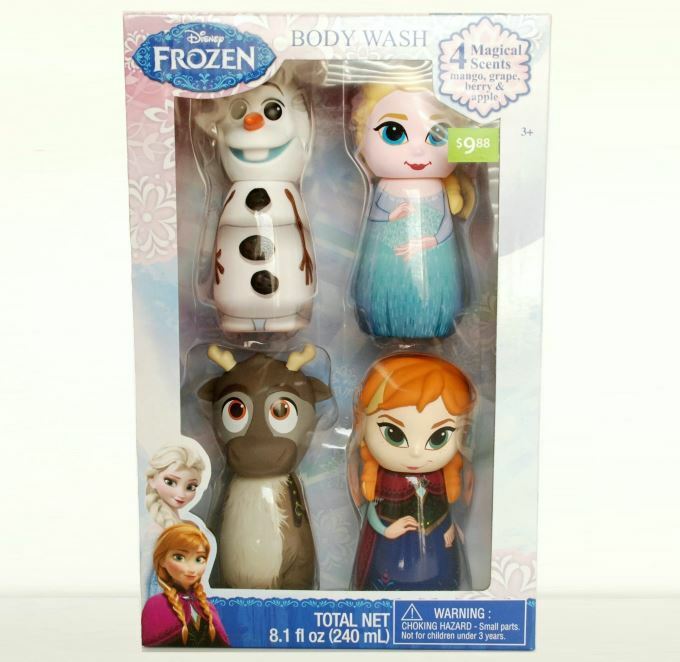 Look at these cute body wash characters from Frozen™. But, poor Olaf doesn’t have his “personal flurry” to keep him cool. My kids loved this movie. 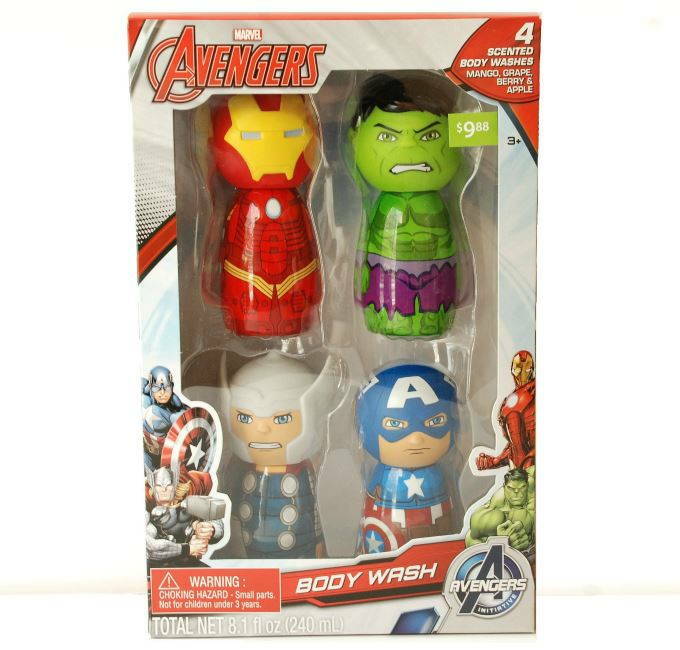 So I know they will still enjoy the bottles as bath toys, when the body wash runs out. You can also get Avengers™, Star Wars™, Despicable Me™, Teenage Mutant Ninja Turtles™, and Disney™ princesses. With so many good choices, it was hard to decide. So, I couldn’t walk away without buying one (or two!). My budding chef will be tickled to unwrap this pancake mix and skillet on Christmas morning. Plus, she can make us fun pancakes as well as cookies with the kitty pan. And since it’s made by Marie Callender’s, we hope it will last for a long time. My daughter has plenty of lip balms, but these are “minions” and have a very cute Santa hat. So why would I buy her another lip balm? Because it will fit in her stocking and make her squeal. Why else? 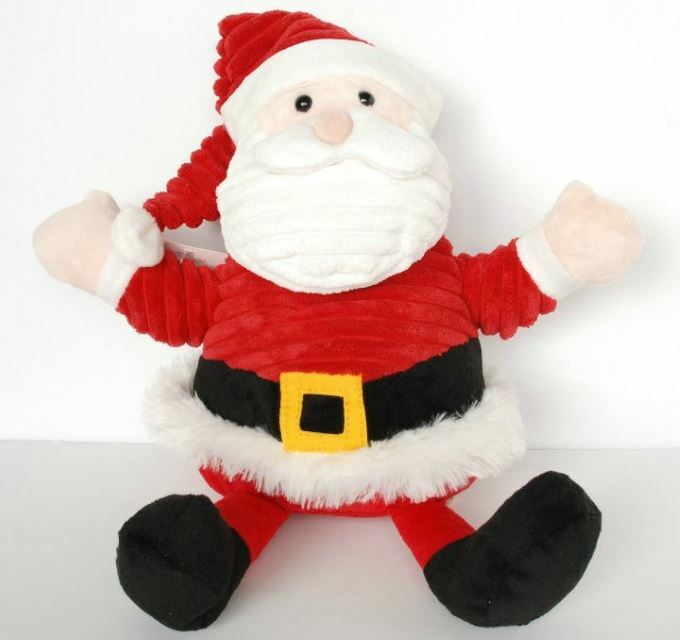 This stuffed Santa is oh so precious. Love the soft fur on the bottom of his coat. He is made with a very high quality plush fabric and is over a foot tall. 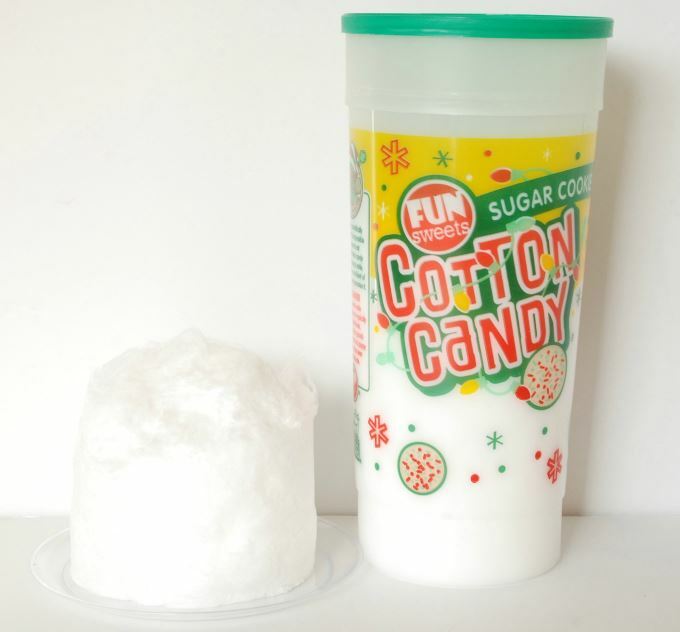 I bought two holiday cotton candy flavors: sugar cookie and hot cocoa. You don’t see the hot cocoa photographed – because it tasted like “powdered hot cocoa”. But hold me back from eating this sugar cookie cotton candy!! It is incredible. It tastes like a really good sugar cookie. So, I’ll have to buy each of my kids one – because somehow it disappeared. So, have fun this Christmas and give gifts that make your kids smile. « Gifts for Her or YOU!